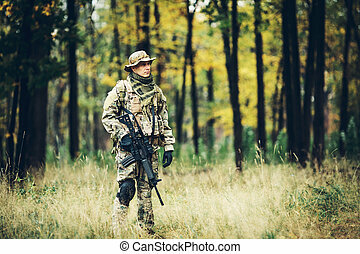 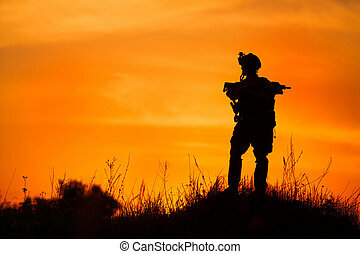 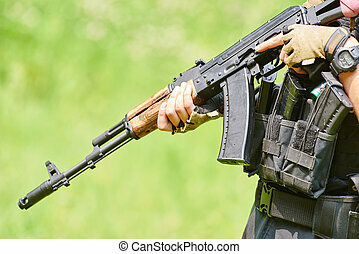 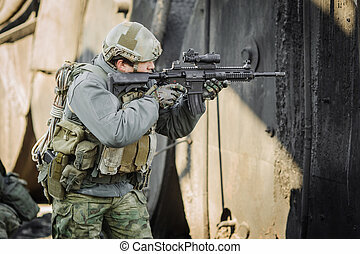 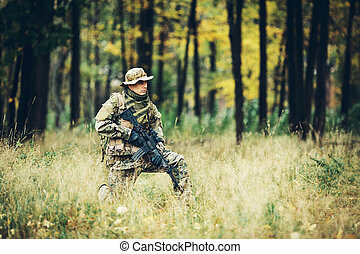 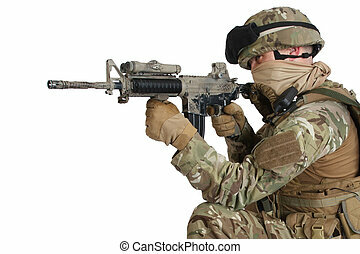 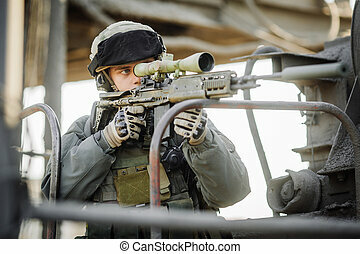 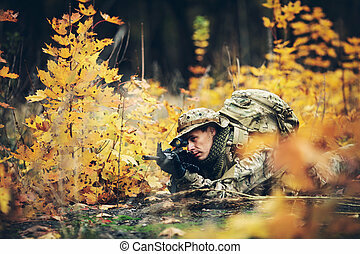 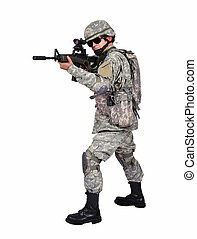 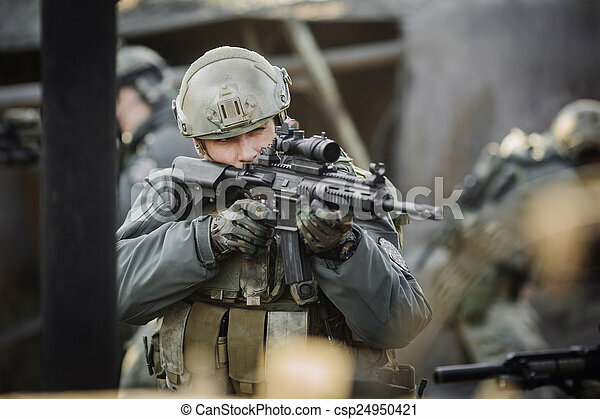 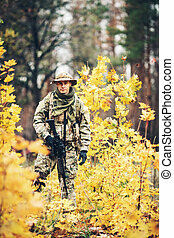 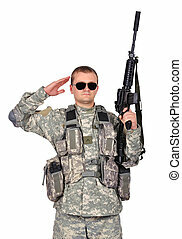 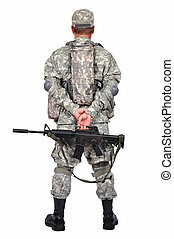 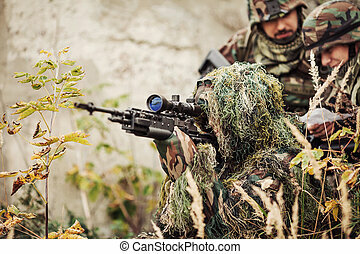 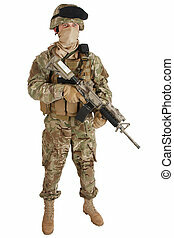 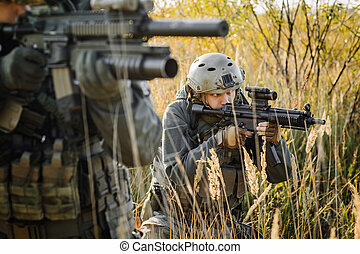 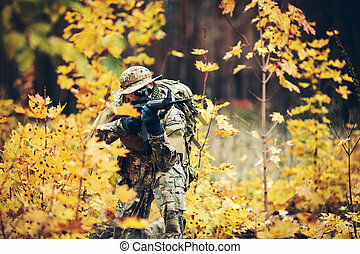 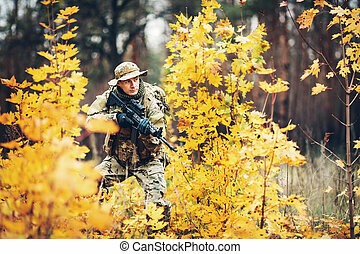 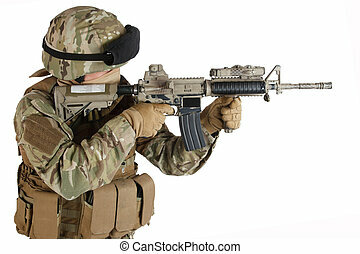 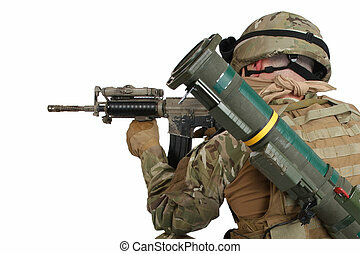 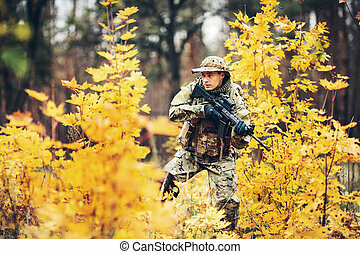 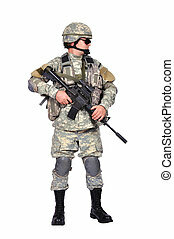 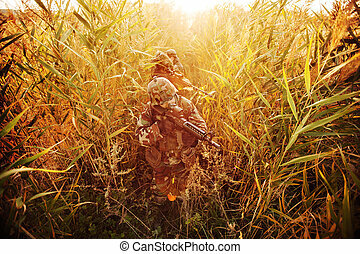 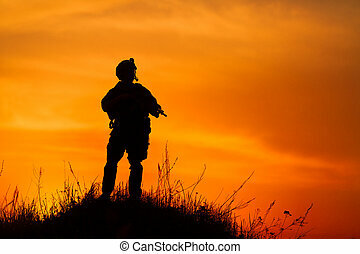 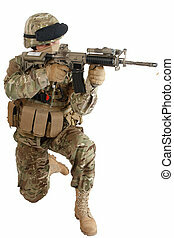 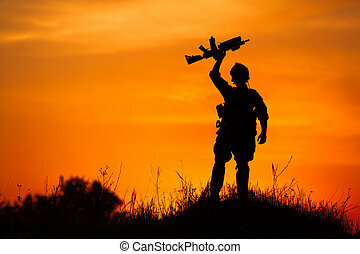 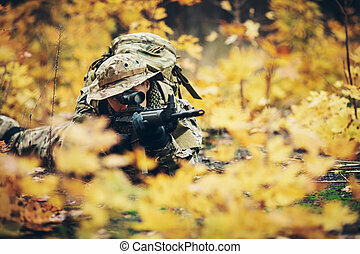 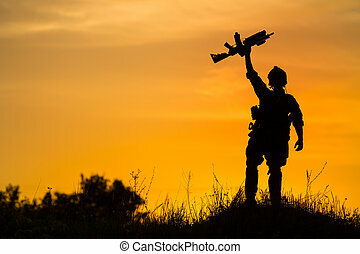 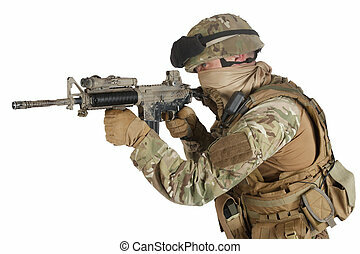 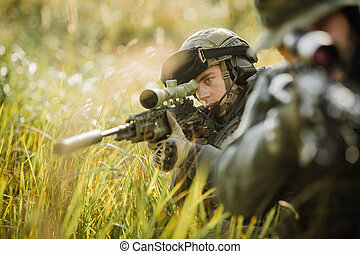 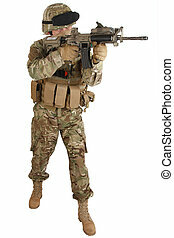 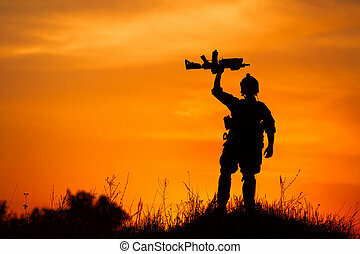 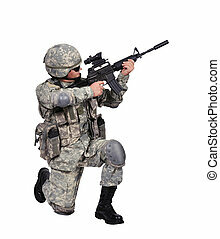 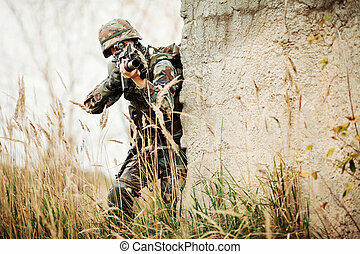 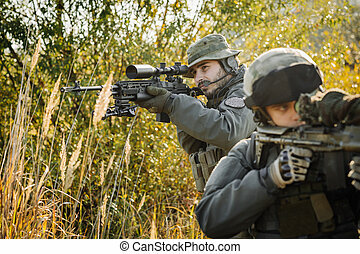 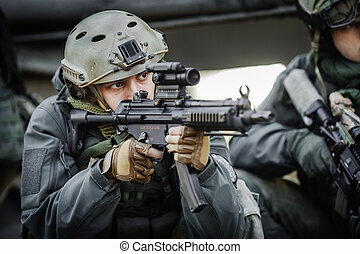 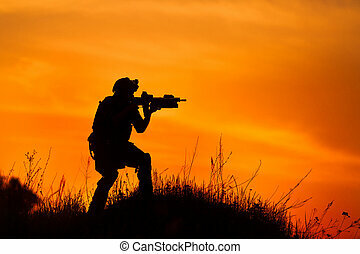 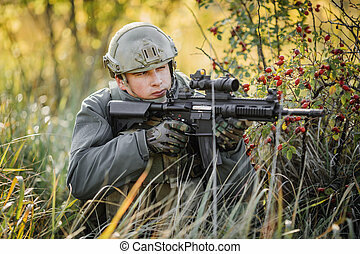 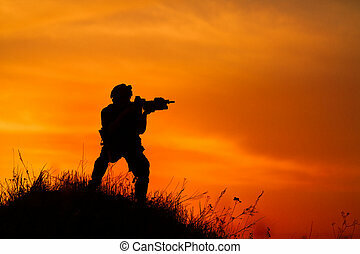 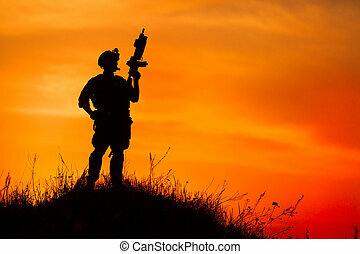 Military soldier shooting an assault rifle. 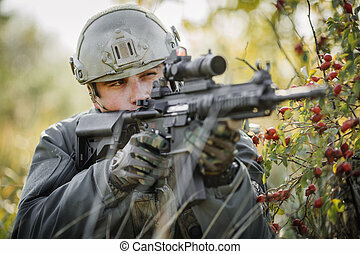 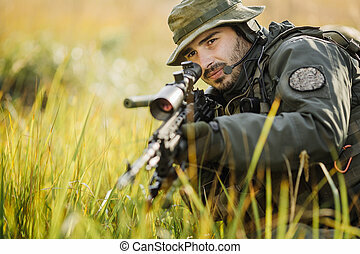 Military ranger shooting an assault rifle. 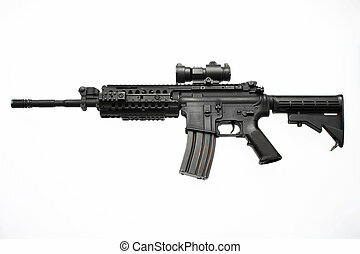 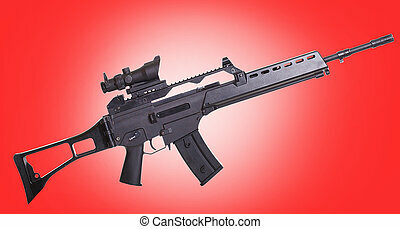 An American assault rifle with a red dot scope used by the military.